Contact us on sales@compute.co.za for more details. 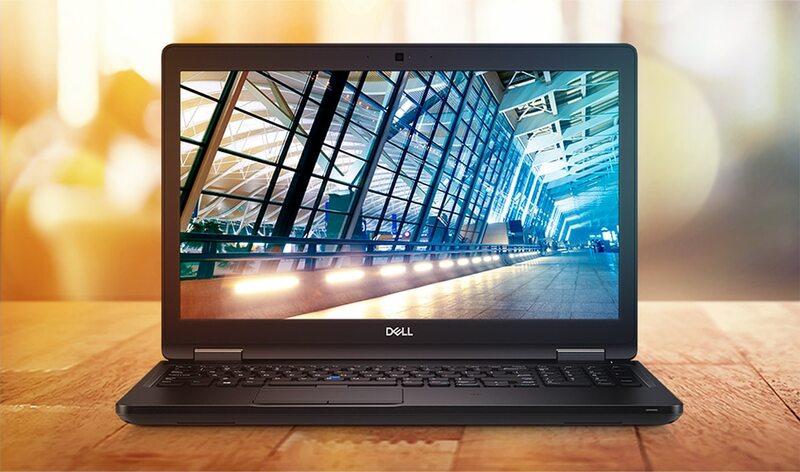 A 15.6″ laptop built for ultimate productivity and performance. Featuring top of the line security features. Available with Windows 10 Pro – for a smooth, versatile PC experience. Latitude laptops and 2-in-1s enable all day productivity with the most secure and manageable features all in a beautiful design you will be proud to carry. No matter where work takes you—whether you are on the go, at the desk or working from the café, we have the right solutions so you can office everywhere. Trusted authentication: The Latitude 5590 offers multiple security options to meet your diverse security needs. Features include essential multi-factor authentication hardware such as touch fingerprint reader, contacted FIPS 201 Smart Card Reader, and Contactless Smart Card Reader NFC to prevent unauthorized access. Dell Business Dock – WD15: Power your Latitude and connect to up to two Full HD displays and other peripheral devices with a single, DisplayPort™ over USB Type-C™ cable. 1. Height (front): 0.8″ (20.6mm) | 2. Width: 14.8″ (376.0mm) | 3. Depth: 9.87″ (250.65mm) | Weight: 4.14lbs (1.88kg). Contact us on sales@compute.co.za to order or for more details.